Create memorable photos as you and your guests pose in front of this artistic wreath of green foliage. Printed on premium canvas for superior style and function, this stunning backdrop will surely impress. 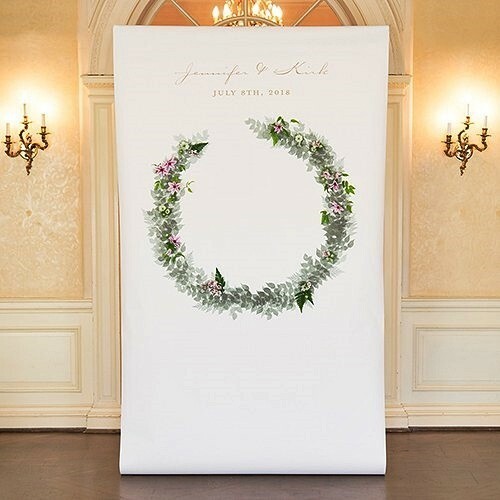 Better yet, the backdrop may be personalized with your names and the wedding date or two lines of custom text above the wreath motif (only in the font and colors shown). The canvas includes a pocket for inserting a hanging rod (which is not included).